It's no secret how much we love college football. Make that SEC football. And really, it's Mississippi State football that we love. However, every Saturday (and some Thursday nights) we have our TVs blaring college football. And a part of me wishes every weekend of the year had a college football game on to watch. We've been loyal State fans for many years. We've seen them at their worst, and at their best. But, it doesn't matter because they are OUR team. And tomorrow's game against Auburn and State has been one of the most talked about games of the season. We're ready to cheer on our Dawgs from home, of course since AC is still not ready for all that fun! 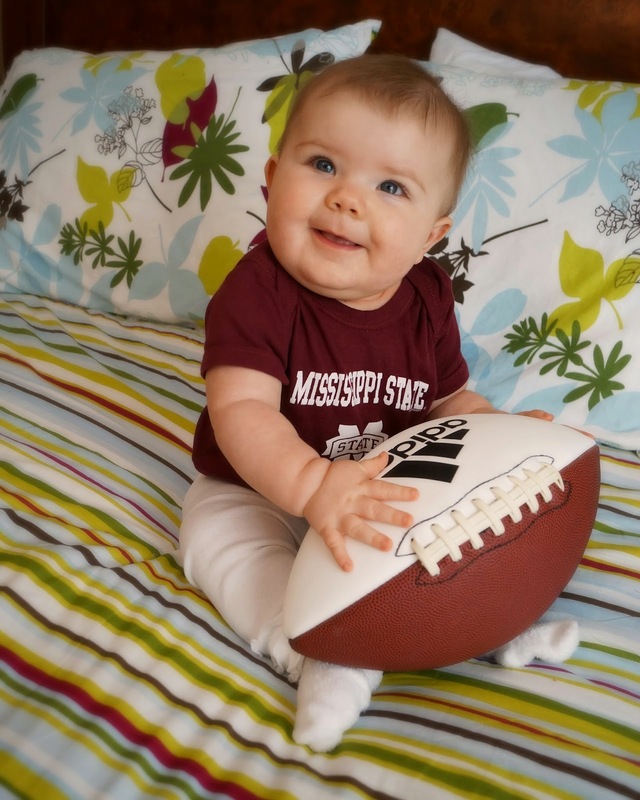 She will be wearing her lucky MSU onesie (MSU beat LSU and A&M while she was wearing this onesie) and our cowbells will be a ringin'! The Mr has been home all week with us, and it's been the best week, ever! No leaving the house at 6:45 to be at work at 7. No getting home at 7, starving because he didn't have lunch. Nope, none of that. He starts his new job next Monday, so he took this week off to get some thing done around the house, and spend time with us, of course! We've had fun having breakfast, lunch and dinner together, taking naps together, and playing with AC this week.We are so excited for his new job, and he is a tad bit excited, too! Thanking the good Lord above for this wonderful opportunity!! I love it when Plain Chicken suggests a restaurant I've never tried. And this week, we went to Saw's Juke Joint in Mountain Brook. SOOO good. I had the smoked chicken with white bbq sauce and sweet potato fries, and she had the sweet tea chicken sandwich with cheese grits. Holy moly... I'll be getting that sweet tea chicken sandwich next time, even though I loved my smoked chicken!! And, since the Mr was at home waiting for us to return home, we brought him back a smoked chicken sandwich. He agreed that it was delicious!! We've also got to go back to try their wings. We love Fall in the Sowell house. Not only for the football, but the changing of the leaves, the somewhat cooler temps, and the upcoming season of holidays. I've had so much fun getting all the Fall decorations together for AC's first Fall/Halloween! But these tiny pumpkins are probably my absolute favorite. 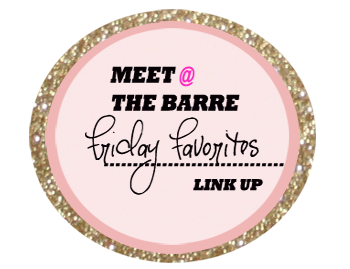 What are your favorites this week?! Awwwwwww that first picture is so precious!! !